A blue grey color, more blue than I expected. Pretty pattern. Using in my office space. Beautiful rug! I definitely agree with other reviews this is more blue than gray. So much so that I recommend updating the product description. But that is what I wanted so I’m happy with it. Super fast shipping. 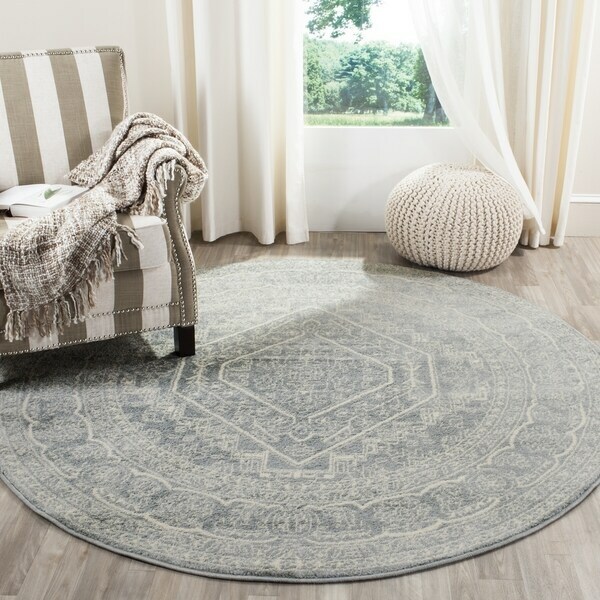 I’ve ordered 5 rugs from Overstock before and have always been happy. Using this particular rug for a baby nursery. Definitely recommend! What you would expect for a rug at this price point. It took awhile for it to finally fall flat, probably because it’s very thin. I’m hoping that putting a rug pad underneath will make it more cushy. The color is quite blueish. Pattern is nice. I’m not an overstock rug hater, I’ve had plenty of good experiences, but this rug is very underwhelming. 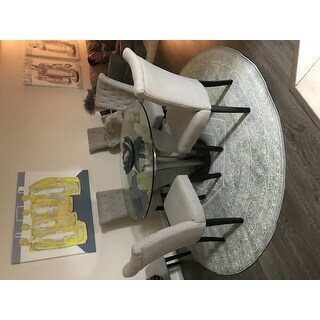 Love this rug the colors are beautiful I even purchased a second one. The rug has a little bit of a blue tint to it but that is fine with me as it matches our current decor. Otherwise, good quality and what we expected when we purchased. We have two other rugs by Safvieh and they have held up well. I love this rug - the pattern feels classic, it has held up to a decent amount of tear and tear and two moves. Be warned the color is more of a bluish grey than actual grey. 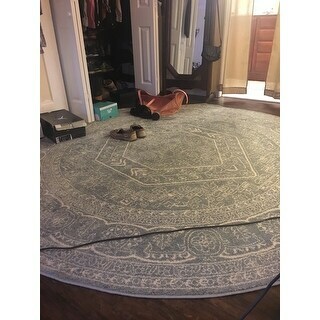 The rug is very nice for the price. I would call the color more of a pale blue than a gray. The color is way lighter than the picture. 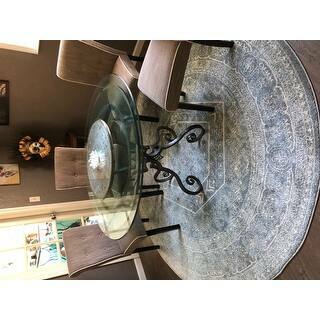 If you are looking for an ice blue rug then this is for you, but if you want dark grey, this one is not the one. I love it! Just perfect!! Perfect and received what was described.